One of the things that make Greece famous is the several islands that you can visit. Among these, are the Cyclades, a group of about 220 islands that are located in the Aegean Sea. Cyclades island hopping is an amazing experience. 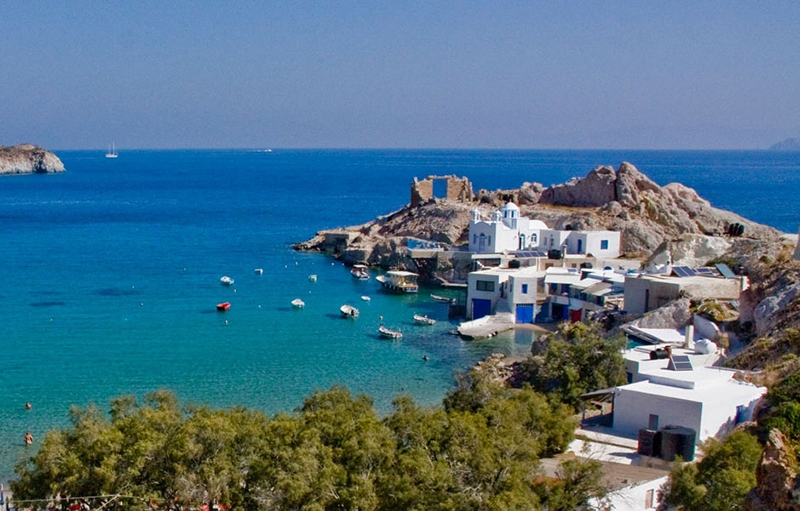 Their whitewashed houses, volcanic calderas, beautiful beaches, and the crystal blue waters of the Aegean Sea under the sparkling summer sun are enough to win anyone over. Looking for accommodation in Cyclades? 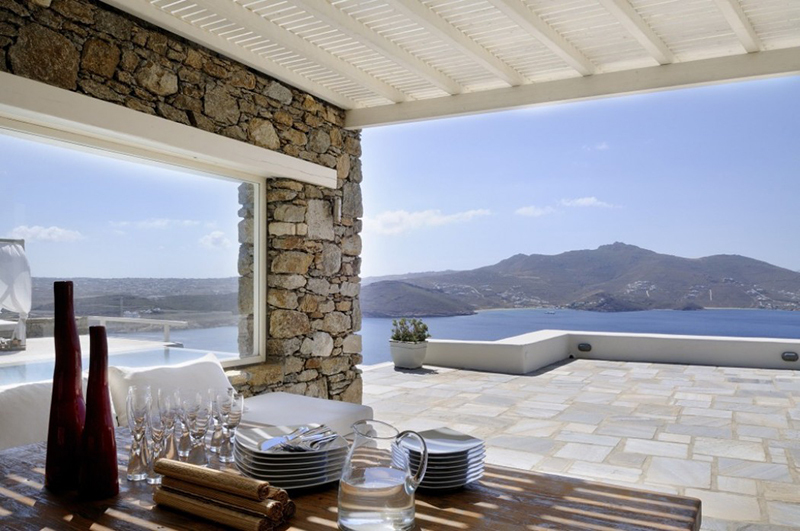 Check out Luxury Holiday Villas in Cyclades! 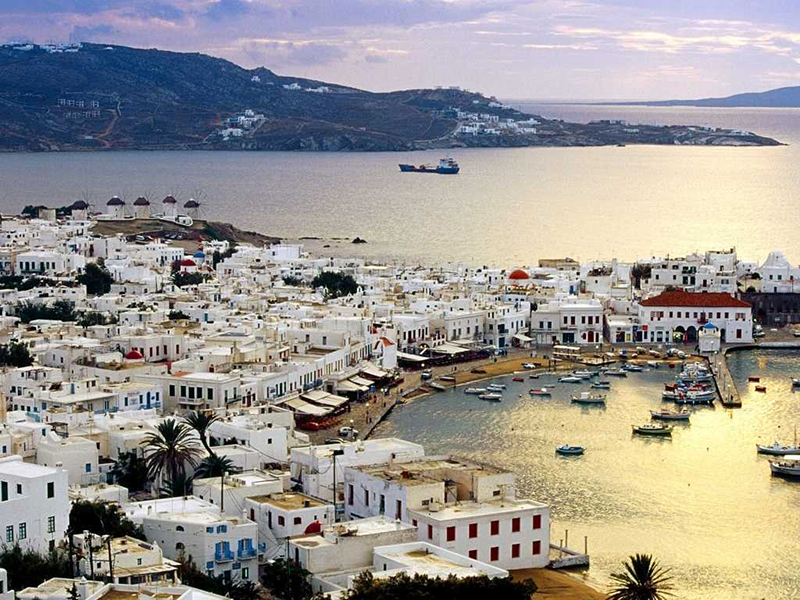 You have many options for Cyclades island hopping, such as Santorini, Mykonos, Naxos, Thira, Amorgos, and Paros. There are also several less known islands, most of them which are uninhabited, but still are amazing destinations. Each of the islands has a unique culture and diverse landscapes. The fact that they are located close one to each other makes them perfect for island hopping. And while you cannot experience the beauty of all the islands in a single vacation, the experience of a few islands will be more than enough. 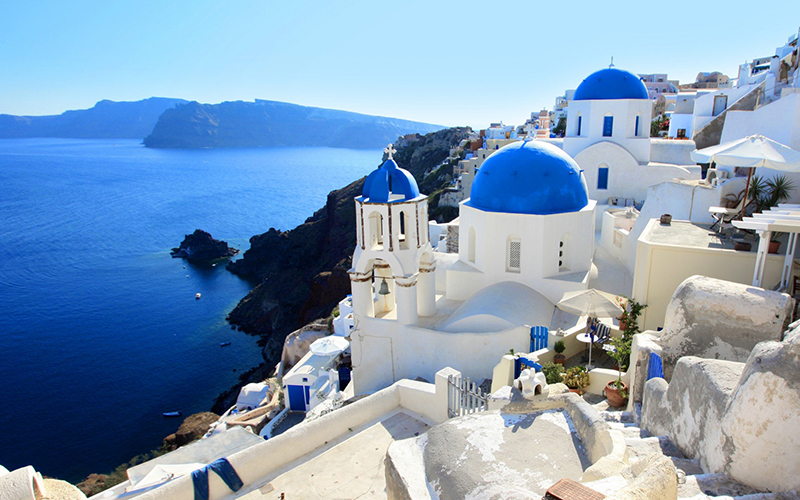 Santorini is one of the most famous islands for Cyclades island hopping, and it is a popular destination for honeymooners and people looking for getting married in Greece. It is a beautiful island that features several scenic beaches, a breathtaking sunset, luxurious hotels, towering cliffs, and villages perched on the edge of cliffs. The island also has an amazing allure, which you can get from the rock-carved pathways or the volcano view, which is one of the most popular sightseeing things. Santorini is one of the best tourist destinations in the world and it presents a treasure of sightseeing spots and things, which include the volcano, the preserved prehistoric settlements of the Aegean, the Archeological Museum of Fira, fortified settlements of the middle ages such as “Pyrgos”, amazing villages that feature marble covered pathways, wineries, and the picturesque beaches of Santorini. Santorini also offers a decent nightlife for the visitors who are looking to party the night away after an amazing day touring the island. 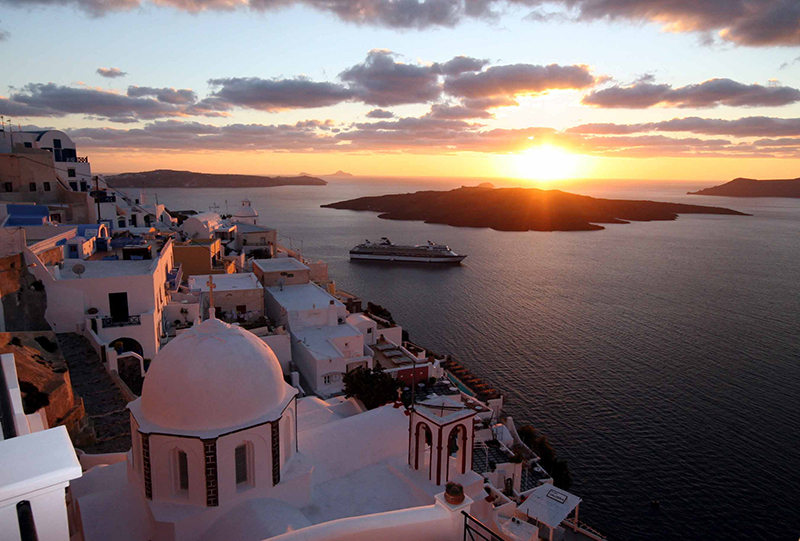 Santorini has one of the most advanced transport network in Cyclades. It is served by an airport, and thus you can fly directly to the island from Athens. 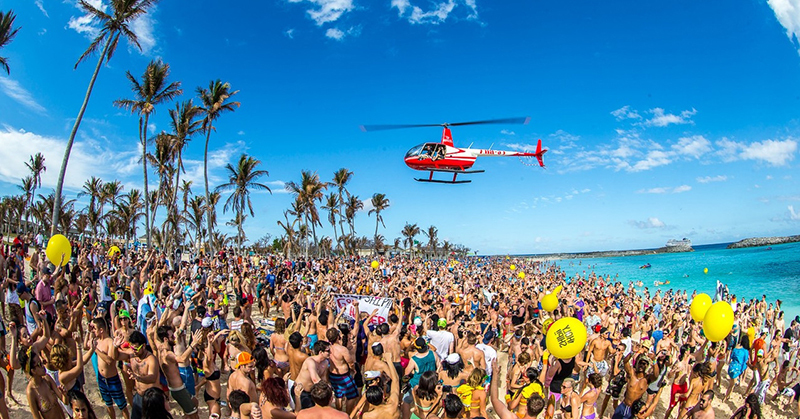 Inside the island, you can move around using buses, taxis, or rental cars. To move to other islands, the main form of transportation is the ferry, but you can also use a tour boat. There is a great variety of holiday villas in Santorini with simple, but at the same time, modern decoration. They are hanging over the sea, so you will admire sea and sunset views that you will never forget. 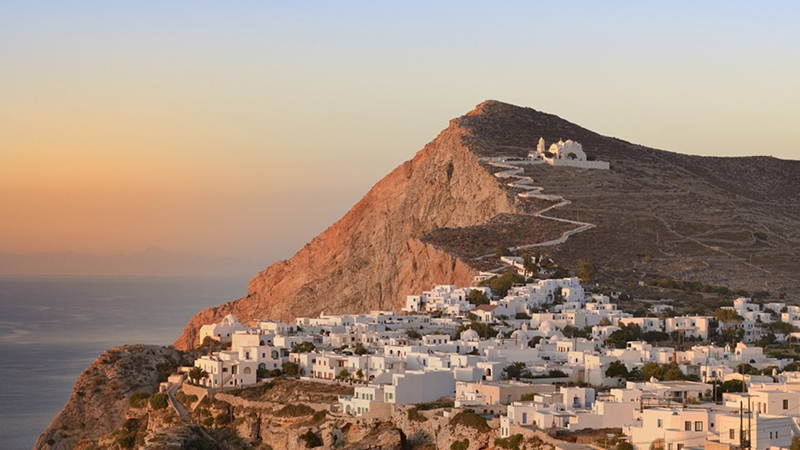 Folegandros is one of the several hidden gems that you can discover on Cyclades island hopping. It is a peaceful island with an inspiring dramatic beauty: serene beaches, beautiful ocean waters, and small picturesque villages. The island is largely undiscovered, which makes it a great island hopping destination when you want to escape the hassles of the outside world. Due to its amazing beauty, and the few number of tourists visiting it, compared to other islands, Folegandros is a perfect destination for a romantic getaway. 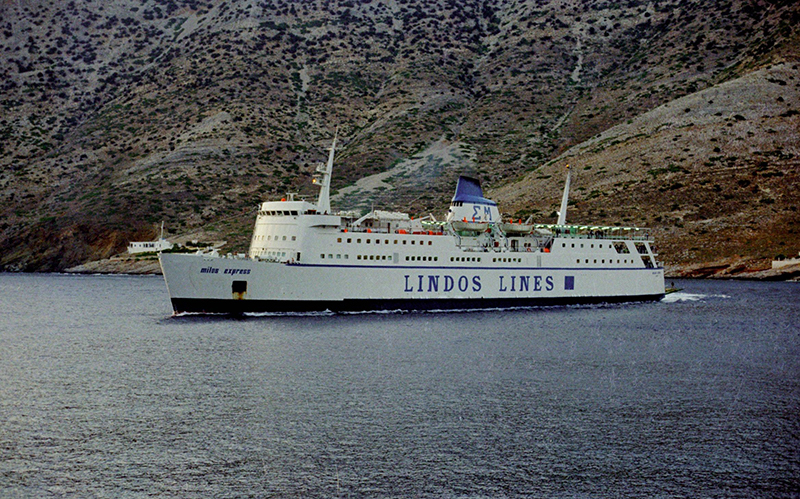 Folegandros is a main stop on the Piraeus – Milos – Santorini ferry line, and you can reach the island from Santorini, taking the ferry. On the island, you can move around using the bus service, rental cars, or a taxi. To move to another island, you can use the ferry line, or one of the several excursion boats that provide guided tours to the specific island. 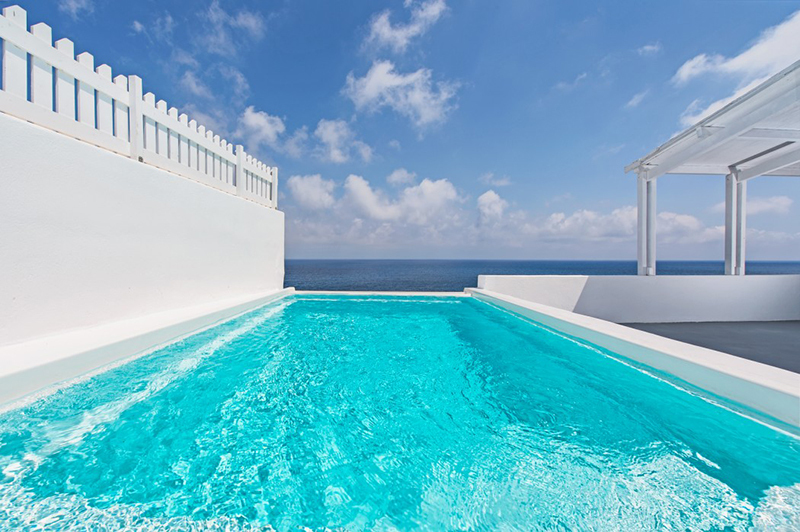 In Folegandros, you can find comfortable holiday homes with private pool located in its traditional villages. Especially, if you are travelling with your family, a nice family villa in Folegandros is the best choice for you. Milos is an island that lies in the southern part of the Western Cyclades. It is an amazing island that is famous for its volcanic soil, a rich deposit of minerals, and its unique shape. Milos has one of the most amazing views in Cyclades. There, you will see villages with whitewashed houses, perched on top of cliffs, long stretches of exquisite beaches, cobbled alleys and a natural harbor. It is a perfect destination for Cyclades island hopping due to its amazing beauty, unique landscape, and rich culture. Milos has a lot of sightseeing spots and things you can do: spend your day at the beach – the island has more than 75 beaches, tour the island on a boat, visit the exquisite villages of the island, visit its archeological museums, enjoy the local cuisine and stroll on the cobbled roads up to Plaka, where you will enjoy one of the most magnificent views on the island. 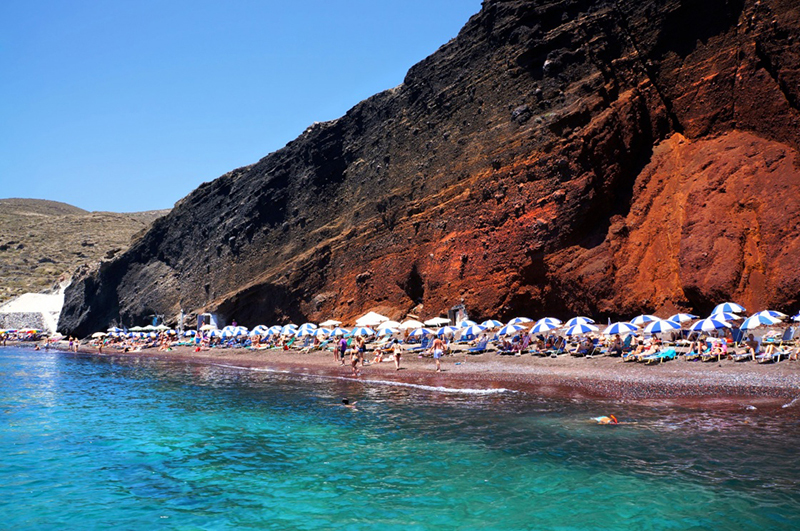 The island of Milos is served by the Piraeus – Milos – Santorini ferry line, which you can use to get to the island. The island also has an airport, which you can use to fly in from Athens. To move to other islands, you can use ferry services – the island is served by both standard and high speed ferries. You can also move to other Cyclades islands using boats. Accommodation in Milos includes a variety of choices, from luxury holiday villas to traditional decorated holiday homes, reflecting the unique Cycladic architecture. 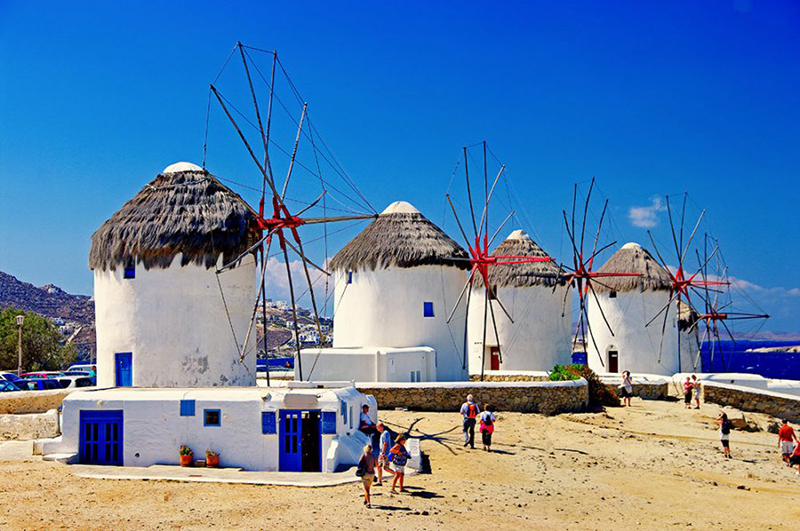 Mykonos is one of the most popular islands in Cyclades, which can only compete with islands such as Santorini and Crete. It is a cosmopolitan destination and one of the most toured spots in the Aegean Sea. Mykonos is famous for its beautiful beaches, luxurious hotels and resorts, and a very wild nightlife, which makes it a perfect destination for Cyclades island hopping. It also has a very friendly atmosphere, and it is the best gay-friendly destination in Greece. When vacationing in Mykonos, there are several things you can do to enjoy your stay on the island. The amazing beaches in Mykonos offer you a great chance of swimming and tanning. On the afternoon, you can take strolls around the island to experience its beautiful white buildings and houses. Finally, you can party all night long, as Mykonos is a party paradise, where there are several clubs you can visit after a busy day touring the island. Mykonos features an airport, which offers flights to other cities in Greece as well as Europe. 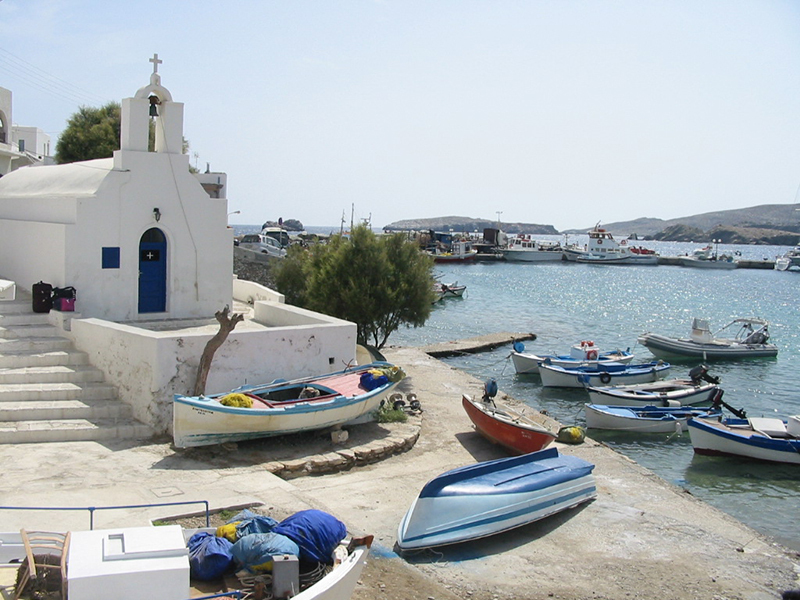 It is also served by a ferry line, which you can use to get there from other islands in Cyclades. Additionally, you can also travel to and from Mykonos using boats. Villa holidays in Mykonos will be a really unique experience for you and your friends or family! Luxury, comfort and high quality services are the main characteristics of holiday homes on the island. Combining these features with the view of the Aegean Sea, holidays in Mykonos will be your only and one choice for next years. @ 2019 Villa Like Home Blog - All rights reserved.